A Week Long Test of my Preparations for Emergencies! Got an Update on my truck this morning. It will still be a couple more days as the mechanic is having trouble tracking down the right part. It was my fuel pump that died, but because our truck is an early ’97, which means some parts are ’97, some are ’96. 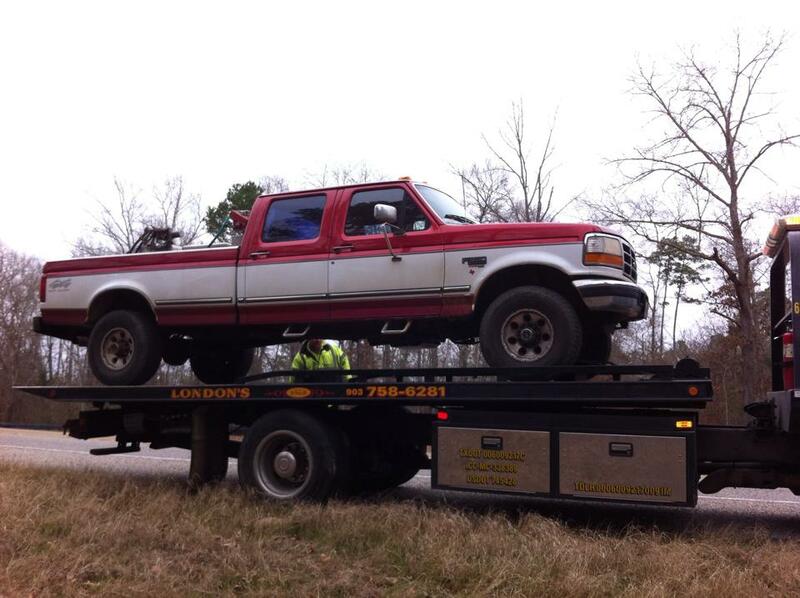 And it being a 7.3 litter power stroke, not everyone stocks the part. Once he can get it, it is still a 6-8 hour job as he has to tear down the top half of the engine to get to it. And he still has not been able to locate a new water reservoir, but we are mainly concerned with getting it up and running right now. But at least on a positive note, this will stop the diesel leak we have had for the last two years. 🙂 So I will still be without a ride anywhere for a few more days, which will end up being a week by the time I get my truck back. With my hubby working out of town right now this leaves me and baby girl completely stuck at home, unless we rely on others to take us anywhere, so I figured this would be a good opportunity for me to test out some of my preps as you never know when something will happen that will prevent you from being able to go to the grocery store or leave your home. You need to be prepared for these times. Because, yes, even here in East Texas we can get snowed or iced in for a few days to a week! Or who knows what else may happen that could prevent you being able to just run to the store! Remember what happened after the Boston Marathon? 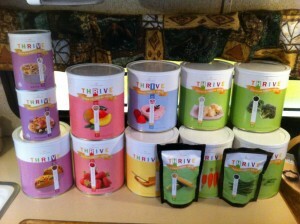 Do you have what you need to feed and care for your family during that time? Even the Red Cross suggests having a minimum of three days worth of food, supplies, medications, etc., on hand and having a plan for different scenarios. I thought I was pretty much ok with what I have been doing, of course in the back of my mind I always knew I could do better. Even with me understanding this concept I have seen some major short-comings in my preparations so far during this test. I would like to think of myself as working toward being prepared and I try to keep at least two weeks worth of food storage here at my RV, restocking about every two weeks or so. Because of the reduced amount of space I have here at my camper I keep the majority of my preps and food storage at a separate secured location only half a mile away, but I now realize that I need to increase the amount of food I keep here to about three or more weeks, or move some more of my staples to my RV and restock every week, rather than when I get low. I’m actually grateful this happened like it did because we never know when an emergency or an unexpected hardship will happen! The day my truck broke down I was actually on my way to run some errands, including getting some more food and preps to have at my camper to prepare for the arctic cold weather that was heading our way for the weekend, but things did not work out the way I had planned and I was not able to pick up any more food from the market or from my Home Store in storage. Sitting there the almost two hours in my truck watching it snow waiting on the tow truck driver also made me aware that I had not updated my Emergency Vehicle Kit for winter in my truck yet. So that is also something I need to do as soon as I get it back. Thankfully we had our heavy coats on, some water bottles, and some freeze-dried snacks to munch on while we waited. I am extremely thankful for what I have prepared for already, this has been a good test for me to really understand what I need to do better and will be working on in the upcoming weeks. I also realize that this wasn’t a complete 100% test, this time. As I restock and reorganize I will also be making plans for a power and water out scenario. As you just never know! And after this partial test, I would not want to be caught in a situation where not only do I not have food, but power could be out and/or no water either. I have propane to cook with and extra water stored, but I need to do better with keeping my propane bottles full and storing extra blankets here at the RV, just in case, as our heater is electric. If you would like more information on making sure your family is prepared please check out my website below or contact me for more information. Our lives and the lives of our families are our responsibility, NOT someone else’s! I do not want to rely on some agency to provide my basic needs, when I should have already done so! When you really think about it, when unexpected things happen, emergencies, natural disasters, etc., it is you and your neighbors that have to take care of each other first before any other agencies ever show up. Sometimes they can not even get to you, as it was the case in Hurricane Katrina and Hurricane Sandy, it was days before first responders could even get thru to most people because of the damage. You are the first responder to your family and your neighbors! The better prepared we can be, the less devastation we can help prevent! 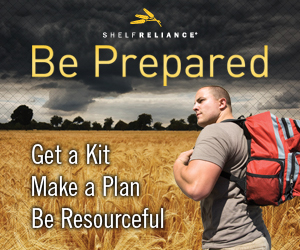 This entry was posted in Blog and tagged Emergency Preparedness, Food Storage. Bookmark the permalink. ← A Very Cold Tow!